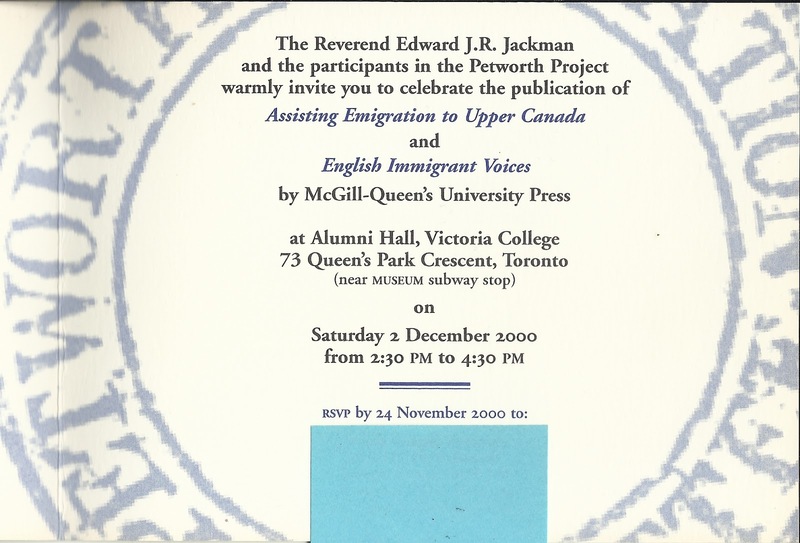 The collaborative historical-genealogical study known as the Petworth Emigration Project began almost thirty years ago; it is still very much alive under the sponsorship of the Jackman Foundation. What is it? ... in essence, the identification and background of English families that came to Upper Canada by means of an assisted emigration plan in the 1830s. The Petworth Emigration Committee was organized by Reverend Thomas Sockett of Petworth parish in Sussex; it was sponsored by George O'Brien Wyndham, 3rd Earl of Egremont. Emigrants came from parishes in Sussex and beyond. Letters written after their arrival helped to reconstruct many families and revealed their locations in Canada. Archival sources in England and Canada contributed yet more contemporary information to the entire story, and many of the involved individuals. And at a lovely reception at the Earl of Egremont's Petworth estate in 2000, the culmination of ten years' research on about 1,800 families was published in two volumes by McGill Queens Press. 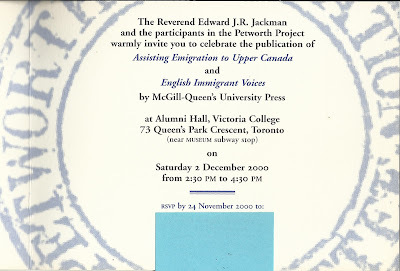 The book launch was also celebrated in Canada. Wendy Cameron and Mary McDougall Maude. 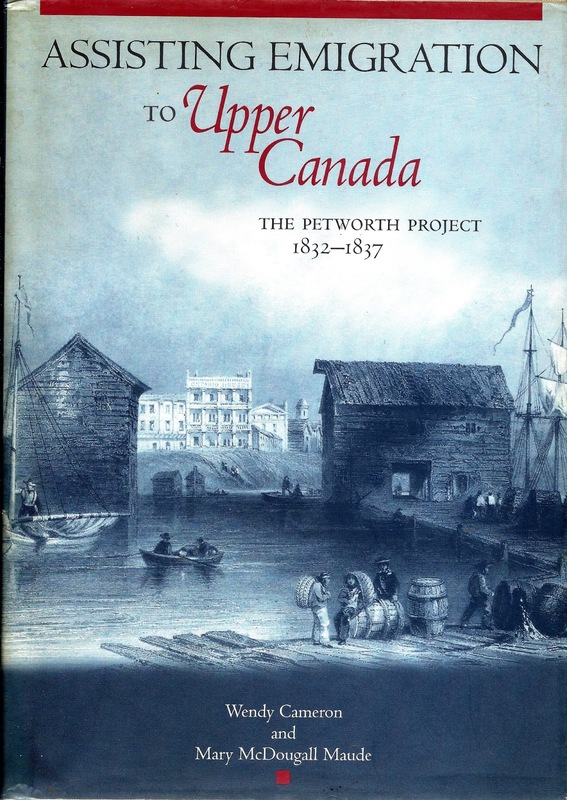 Assisting Emigration to Upper Canada: The Petworth Project, 1831-1837. Wendy Cameron, Sheila Haines, and Mary McDougall Maude. 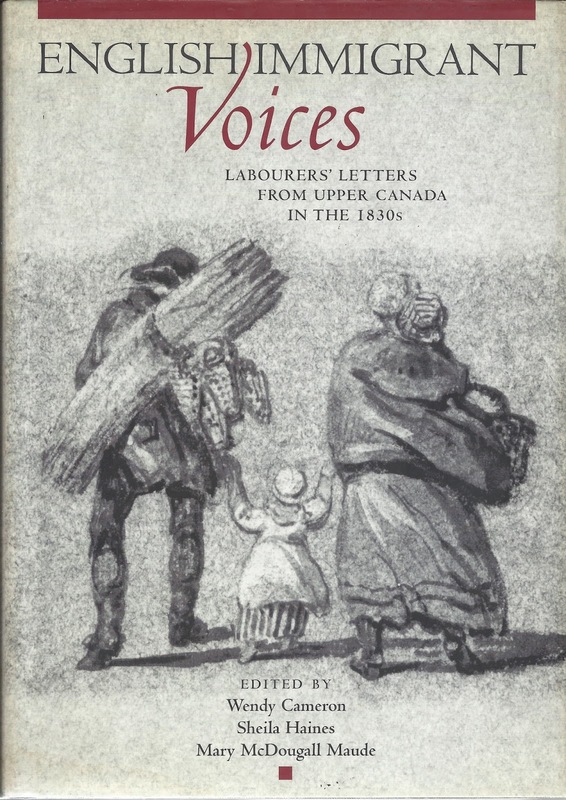 English Immigrant Voices: Labourers' Letters from Upper Canada in the 1830s. Detailed information can be seen on our website www.petworthemigrations.com where surname indexes and other compiled indexes aid the curious researcher. There too, descendants can post new family information and connections. Facebook pages were adopted early, one to encourage and maintain contact with and between descendants (Petworth Emigrants) and one relating to the parish (Petworth Emigration Project). We deposited our research material and working papers with the University of Waterloo in Kitchener, Ontario. Sheila Haines, ed. 'No Trifling Matter,' Being an Account of a Voyage by Emigrants from Sussex and Hampshire ... . UK: University of Sussex Centre for Continuing Education, 1990. Brenda Dougall Merriman. The Emigrant Ancestors of a Lieutenant Governor of Ontario. 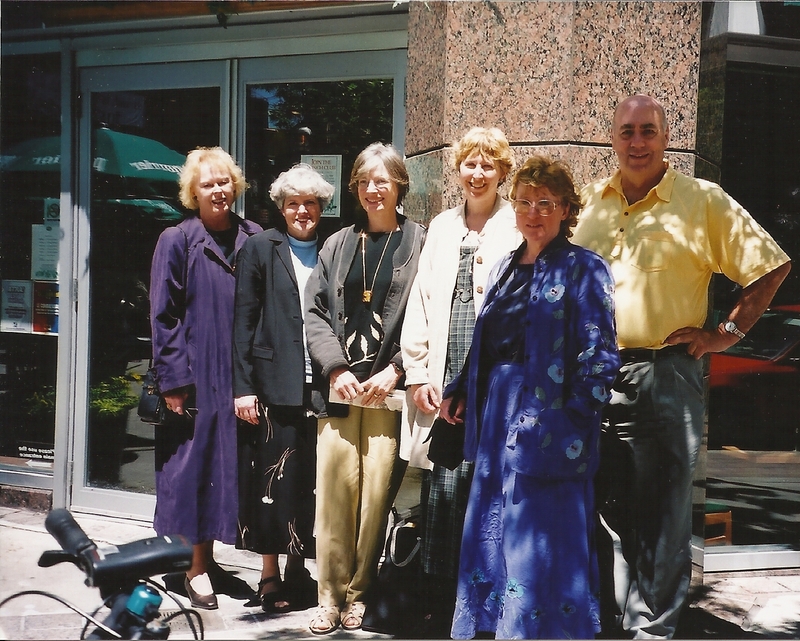 Toronto: Ontario Genealogical Society, 1993. Leigh Lawson. The Jackman Family in West Sussex 1565-1836. n/a, 1999. Jane Britton. Petworth Project GA136 [Finding Aid]. University of Waterloo, Doris Lewis Rare Book Room, 2002. Sheila Haines and Leigh Lawson. Poor Cottages and Proud Palaces: The Life and Work of Thomas Sockett 1777-1859. UK: Hastings Press, 2007. Sheila Haines, Leigh Lawson, and Alison McCann. Elizabeth Ilive: Egremont's Countess. To be published late 2017. Haines is missing in this photo. New descendants, additions and corrections to family information, photographs, and even the occasional relevant letter continue to arrive via Facebook and our website. 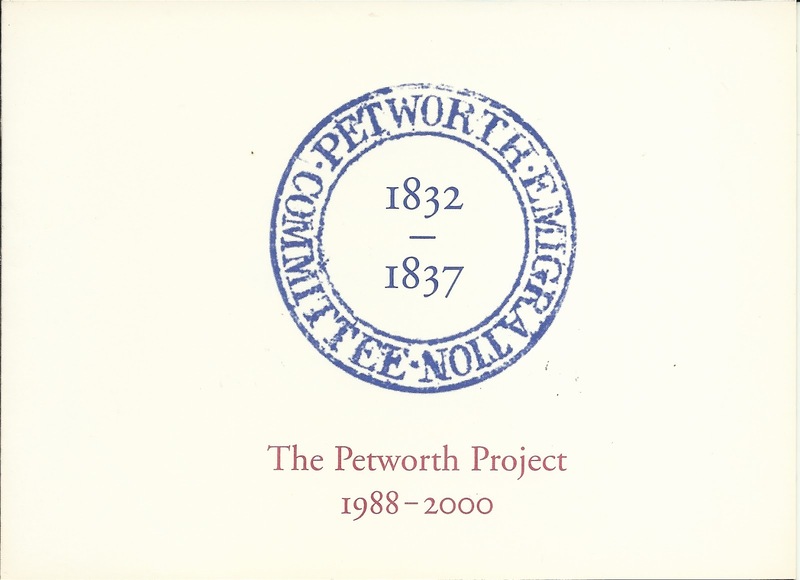 The Petworth Emigration Project remains healthy and well in the twenty-first century.